Humidity is all too familiar to homeowners here in Florida, and it can wreak major havoc on homes in the area. In addition to indoor comfort issues, high humidity can cause mold growth, reduce indoor air quality (IAQ), exacerbate allergy symptoms such as coughing and sneezing, and more. Fortunately, you can handle humidity before it starts with the right home upgrades. Smart home improvements like air sealing and air conditioner replacement not only make your home more comfortable, but also improve indoor air quality, reduce allergy symptoms, and protect it against moisture-related damage. Many homeowners underestimate the importance of controlling indoor humidity. When left unchecked, high humidity can have a negative impact on both your home and your physical health. For you, high indoor humidity doesn’t just mean discomfort at home. Excess moisture often leads to mold growth, polluting your indoor air with allergy-causing mold spores. To make things worse, dust mites and bugs also thrive in humid environments. Over time, allergens in your home will multiply, leading to health symptoms such as wheezing, coughing, sneezing, itching, and other asthma-related concerns. High humidity is a danger to your home as well. In addition to giving your home a musty smell, excess moisture can accumulate on your walls and ceilings, leading to structural issues such as peeling wall paint, crumbling drywall, and wood rotting. Moisture may also damage your insulation, rendering it ineffective and compromising your home’s overall efficiency. With the right home improvements, you can keep humidity levels inside your Florida home at a healthy 30% to 50%. The top home upgrades that indoor air quality experts recommend for humid climates include professional air sealing and insulation, installing a high efficiency air conditioner, and installing a whole-home dehumidifier. Controlling humidity at home starts with comprehensive air sealing and insulation by an experienced professional. Air sealing closes up all the small holes and cracks in your home that allow hot and humid outdoor air in, while insulation regulates heat flow into and out of your home year-round. Some types of insulation also help keep excess moisture out. Together, air sealing and insulation give you greater control over your indoor air quality and minimize the chances of condensation buildup. Your air conditioning system is responsible for keeping your home comfortable and reducing indoor humidity, especially during the summer. 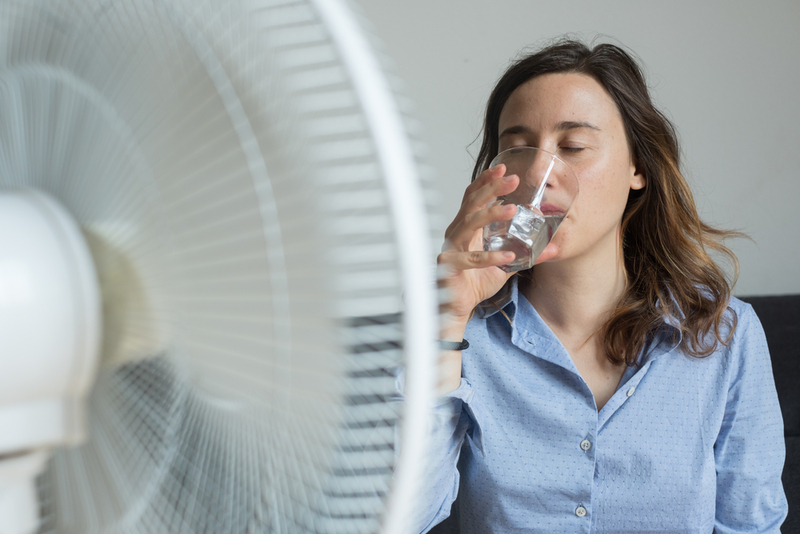 Because Florida sees such a hot and humid climate, it is essential for homeowners in the state to invest in a high efficiency air conditioner. In areas where outdoor humidity is especially high, a whole-home dehumidifier can further reduce indoor moisture. A dehumidifier runs independently of your AC system and regulates humidity throughout the home, meaning you can use it to control indoor humidity even when you don’t need to run your AC system. Many homeowners assume that home upgrades like air conditioner replacement are invariably expensive; but with the right financing option, improving your home doesn’t have to break your budget. Renew Financial can help you make the home improvements you need with simple financing from PACE. PACE financing allows you to repay the cost of your home upgrades at a fixed interest rate on your property tax bill. With Renew Financial, financing your home improvements for greater humidity control couldn’t be easier. Want to improve your home’s indoor air quality and control indoor humidity with smart home upgrades? Apply for PACE financing for your next project!